Wildlife encounters of a different kind……. If you are passionate about helping the survival of endangered species……… then one of our fund-raising conservation safaris is for you. Your participation financially supports a dedicated research programme and the long term survival of an endangered species. Our conservation safaris financially support Ethiopian wolves, lions and Painted dogs and other endangered species. They are uniquely hosted by the programme Directors who provide in-depth and insightful information on their field practices, monitoring and conservation initiatives. You travel with the people who make a difference to the survival of endangered species – Prof Claudio Sillero, Dr Shivani Bhalla, Dr Greg Rassmussen, Peter Blinston, Steve Leonard and Virginia McKenna.These are pioneering ecological safaris taking conservation tourism to a more meaningful level. If you are fascinated by animal behavior in the wild…….. then a safari hosted by a wildlife researcher or professional naturalist is ideal for you. Their depth and breadth of knowledge of the natural world is impressive and their passion for all creatures great and small is boundless. 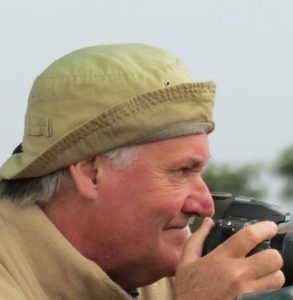 We’ve been working for over 20 years with Stephen Mills – one of the very best professional naturalists and wildlife researchers, and Jackson Looseyia for over 10 years, who is the most respected and senior naturalist in the Masai Mara, Kenya and an excellent photographer. Our animal behaviour safaris focus on iconic species and provide close encounters with Mountain gorillas, tigers and Indian wild dogs. Let nature’s experts open ‘pandora’s box’ on animal behaviour. Get the bigger picture and the whole picture on why animals behave as they do. If witnessing the wildest action in the bush and nature’s greatest spectacles ticks the boxes for you ………. 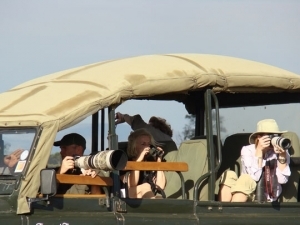 then a safari with a professional wildlife film-maker is perfect for you. Wildlife cameramen spend weeks, months and even years in the bush, waiting for and predicting when something spectacular and big is going to happen. We have teamed up with the most engaging and dynamic cameramen and wildlife TV presenters including Simon King, Chris Packham and Jackson Looseyia. You’ll get their professional expertise, their personal tales of the bush and much more…. 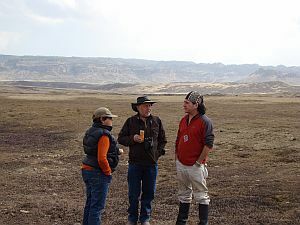 Their knowledge of specific wildlife habitats and the predators and prey that co-exist there is unparalleled. They know every lugga and tree on the horizon and the typical weather patterns. They are expert in capturing the best shots, from the best angles and in the best light. Their excitement and wonder when something big happens never diminishes and is infectious. To see rare and endangered species in the wild invariably involves travelling to remote places in distant lands and living to nature’s timetable. You’ll need to turn off your default buttons and no matter how far this takes you outside your normal comfort-zone, you can relax knowing that you are in experienced hands – as well as the professional host a member of our own staff is with you the whole time, taking care of the minute details and your welfare.